Bunnies should be really be called "fluffy floofballs of awesomeness" because that's what they are. Celebrate their existence with a cozy sweater, an enamel pin, a pair of vegan flats, and a bunch of other really cute stuff. 1. A moisturizing and delicious-smelling tinted lip balm to give your lips a subtle pop of color and shine. Get it from Amazon (available in eight colors) or Soko Glam (available in six colors) for $8. 2. A pair of earrings your bestie must buy for your birthday if they ~carrot~ all about you. Get them from ArtGalleryAU on Etsy for $8.00+. 3. A mug with a tiny rabbit who'll happily bathe in your tea or coffee. Get it from Amazon for $18.98 (available in 12 animals). 4. 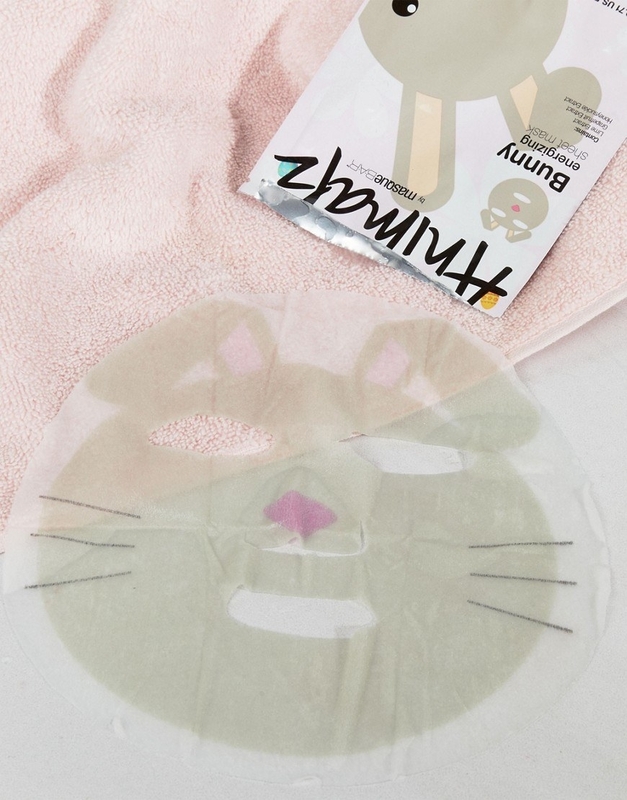 A bunny sheet mask that not only will energize your face, but should make for some interesting selfies as well. 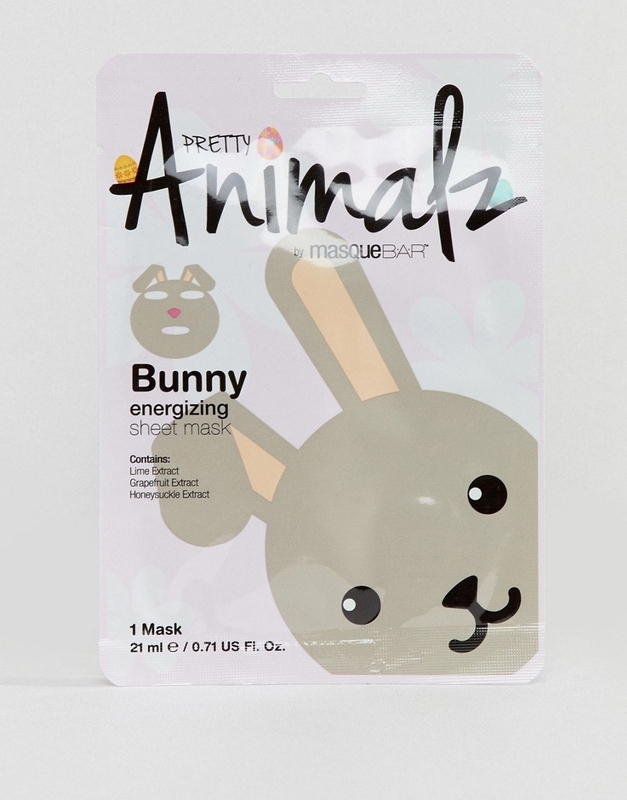 This sheet mask is enriched with lime and grapefruit extract! 5. A sleepy bunny enamel pin to decorate your backpack or leather jacket with. Get it from ivycdraws on Etsy for $9.68. 6. 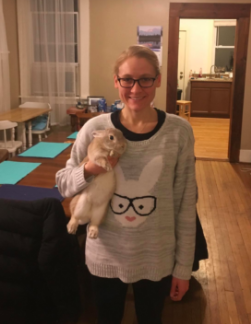 A cozy sweater for anyone who thinks hipster rabbits > hipster cats is an underrated opinion. Get it from Amazon for $7.51+ (available in sizes S/M–M/L and seven colors). There's a drain hole in the bottom of each planter and a removable saucer that catches the water! 8. A cushy throw pillow to hug until you get a real pet rabbit. Get it from Overstock for $25.63. 9. An adorable iPhone case ~everybunny~ will compliment you on. This phone case will fit iPhone 7/8! Get it from Forever 21 for $3.99. 10. A wireless Bluetooth speaker so you can be all ears when your favorite song comes on. Get it from PBteen for $59. 11. A pink bone china plate almost too cute to serve food on. These plates are microwave-, oven-, and dishwasher-safe! They are eight inches in diameter. Get it from Apollo Box for $19.99 (available in three designs). 12. A turquoise bunny who'll encourage your snacking habit, because she'll always be there to open the bag for you. There's a magnet on the back, so you can keep this bunny bag opener on the fridge! Get it from Animi Causa for $10.99 (available in two colors). 13. An organic cotton sheet set for anyone who prefers counting rabbits over sheep. Get it from Crate & Kids for $69+ (available in sizes twin–queen). 14. A print you might have a hard time deciding which wall to hang on, but that's just ~splitting hares~. Get it from Amy Hamilton on Redbubble for $22+ or Society6 for $19.99+. 15. A pair of plush slippers to burrow your feet into after a long day. Get them from DSW for $19.98 (available in sizes S–XL). Or check out this pair from Amazon. 16. A super soft nightgown covered in garden bunnies that'll remind you of the Peter Rabbit books you used to read as a kid. Get it from Target for $19.99 (available in sizes XS–XXL). 17. 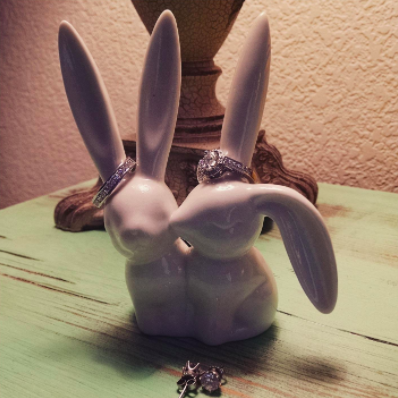 A miniature sterling silver rabbit who just wants to hold onto your finger. Get it from Amazon for $20.85+ (available in two sizes). 18. A ceramic cottontail rabbit you can fill up to give it a tail made of actual cotton. 19. 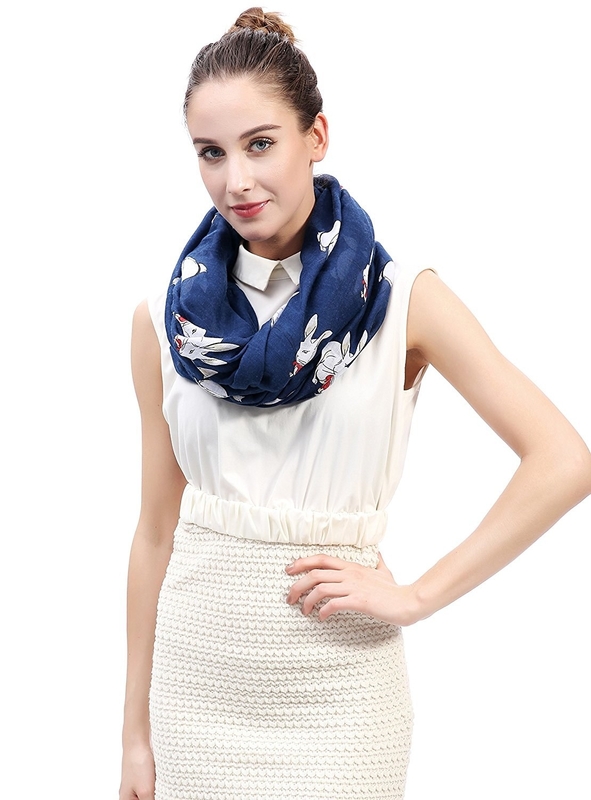 A lightweight circle scarf for adding an elegant yet whimiscal touch to every outfit. 20. A set of minimalistic cotton pillowcases both kids and adults would absolutely love. These pillowcases measure 31"x20" and should fit standard-size pillows. Get a two-pack from Xenotees on Etsy for $35.95. 21. A set of brightly colored cotton dish towels to reach for even after Easter's over. Get a three-pack from Crate & Barrel for $17.47. 22. 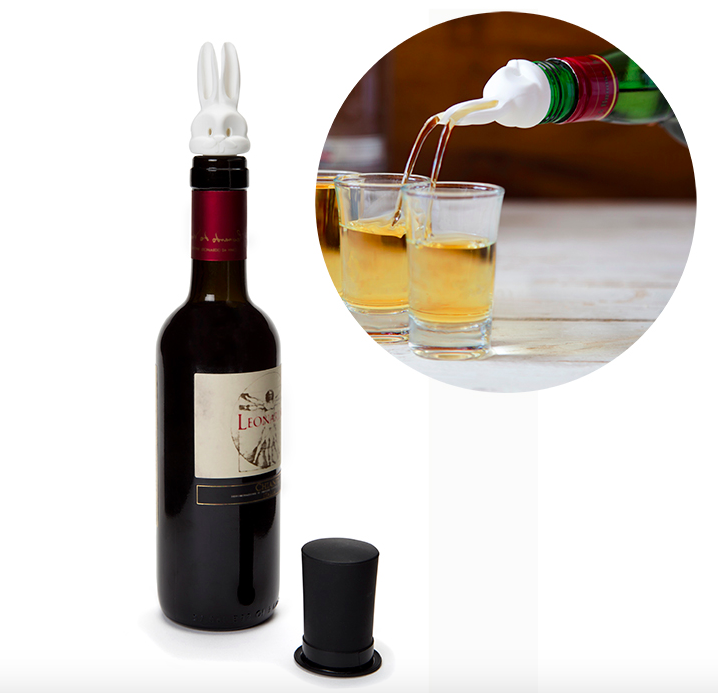 A pourer and stopper set so you can pull a rabbit out of a hat (literally) and make serving drinks a magical experience. 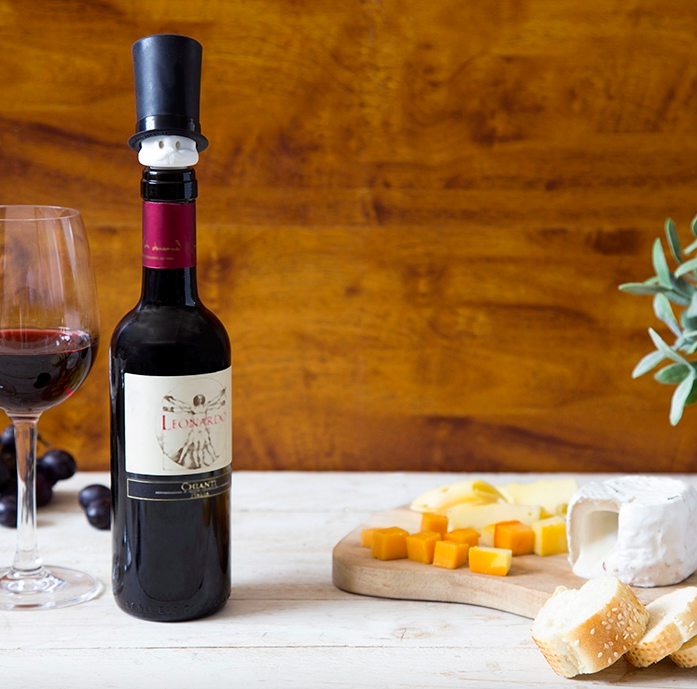 The pourer not only aerates the wine but can also be used to pour into two shot glasses at once! 23. A faux-fur keychain almost as soft as an actual bunny. 24. 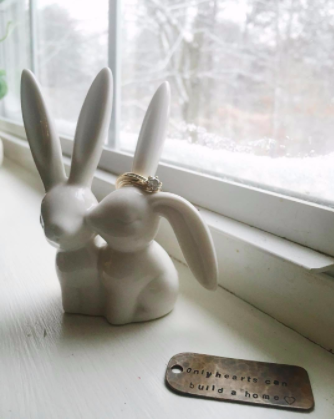 A pair of affectionate bunnies that'll hold your rings and elicit an "awww" from anyone who sees them. 25. A rose-gold watch for reminding you to hop to it — time is of the essence! Get it from Bloomingdale's for $110 (also available in black). 26. A bunny-ears mirror so you can check to see if there's any food stuck in your front teeth before heading out the door. Get it from Forever 21 for $9.99. 27. A fleece-lined robe you'll be ~warren~ all day every day because nothing else in your closet will be as comfy. Get it from Amazon for $24.99 (available in sizes S–2XL and five designs). 28. 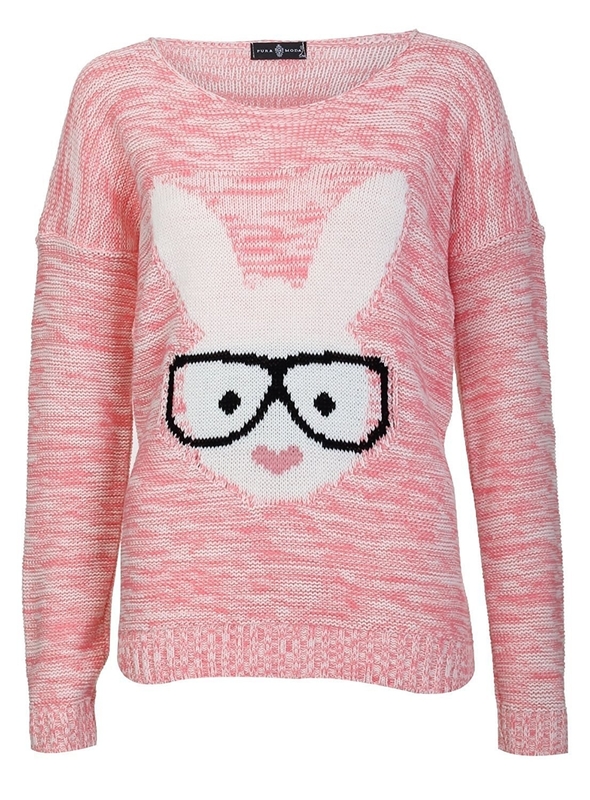 A bunny and rose embroidered shirt collar to top off your crew-neck sweater so you can get that layered look without actually having to deal with layers. If you've ever tried to pull a sweater over a button-down shirt, you know what I mean. 29. 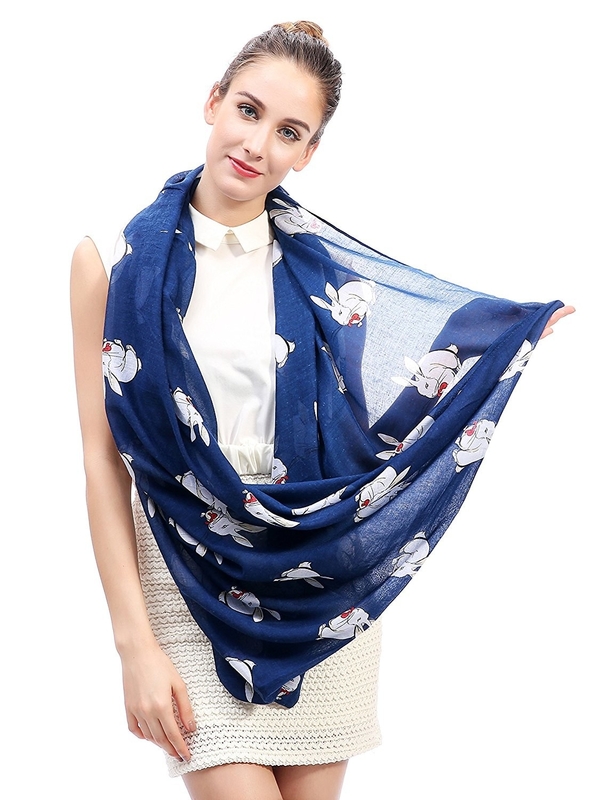 A tote bag with a circle of bunnies on it for the cutest way to carry your laptop or groceries. Get it from SCHINAKO MORIYAMA on Society6 for $14.69+ (available in three sizes). 30. A pair of quirky vegan-leather flats that'll put a hop in your step. Get them from Jet for $45.06 (available in sizes 5–11).